This is not your grandmother’s fiber product. Why? 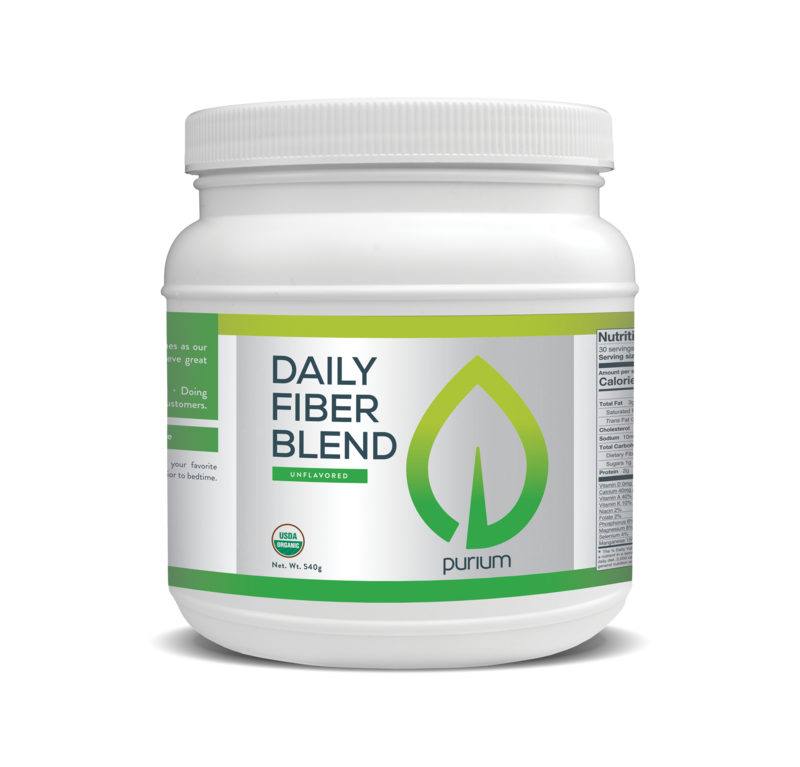 Because our new Daily Fiber Blend actually burns fat! Key ingredient, “Rice Bran Fiber,” safely and naturally increases adiponectin (the “skinny hormone”) – helping your body burn fat. The gluten-free and high-quality fiber sources formula raises the bar on what a fiber product can be. Suggested Use: Mix one scoop with water, juice or your favorite creamy beverage. For best results, take 2 hours prior to bedtime. Ingredients: Organic Flax Seed, Organic Rice Bran Fiber, Organic Whole Grain Oat Flour, Organic Grain Blend (containing: Organic Millet, Organic Amaranth, Organic Buckwheat, Organic Quinoa, Organic Chia), Organic Guar Gum, Organic Agave Inulin, Organic Fennel Seed, Organic Black Walnut Hull, Organic Lo Han Berry Extract (Monk Fruit).